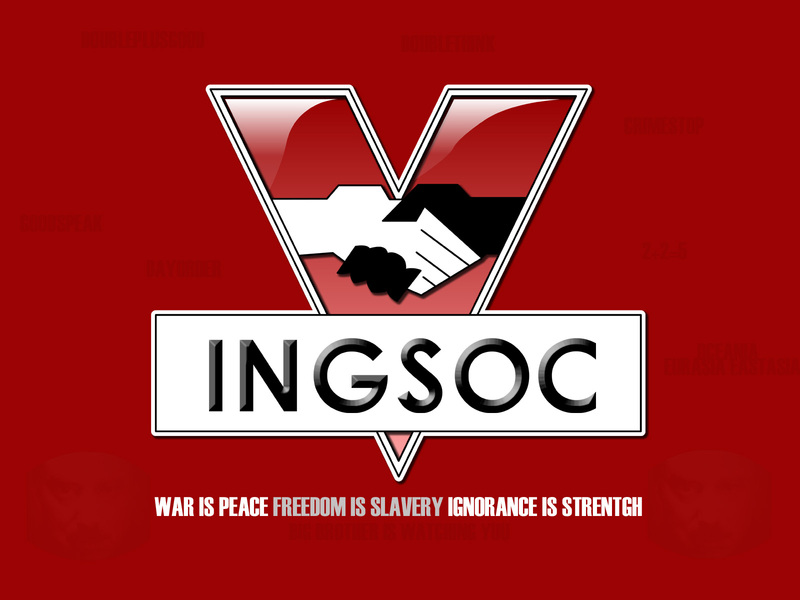 Maybe George Orwell got it wrong – it’s not English Socialism in Oceana, it’s American Socialism. I'm not angry; I'm just very, very disappointed. It seems a lot of the people who voted for Trump were very angry and frustrated. People do not think rationally when they are angry and frustrated, and Trump made sure to keep them angry and frustrated right up to election night. Sadly, in this last election more people who voted chose the former over the latter. It is difficult to reason with someone who is angry, frustrated, and afraid – they don’t generally react with thought but instead with emotion. And since emotion is close buddies with our “fight or flight” response, someone who reacts with their emotions will have essentially just two responses: fight or flight. They will act (or in this case, vote) in a way that gives them power to “fight” (i.e., punish or control) whatever frightens and angers them – or they will choose “flight,” which means either running away (or ignoring) or pushing away what angers and frightens them. This all might seem quite reasonable until you remember that what angers and frightens these people is… other people. Groups of people who are different, who look different or act different or think different. And this means that the emotions of these angry and frustrated and fearful people made them choose a course of action that will punish, control, and push away people just because they are different. Anger, fear, and politics are a terrible combination. It is all to easy to rationalize terrible behavior and poor decisions when you’re angry and afraid. Rationalizations like this are bad enough at the personal level, but when they get translated into policy or enshrined in law, it becomes much, much worse. An individual can move past their fear and re-think their decisions and change their behavior fairly easily and quickly, but changing public policy and law can take ages – if it ever happens at all. It’s often been said you shouldn’t make important decisions when you’re angry, and electing a president is one of the most important decisions a country can make – yet we seem to have made this decision quite rashly and while decidedly angry. That this will turn out to have been a terrible mistake seems a foregone conclusion. All we can do now is try to calm down now that the election is over and put aside the anger & fear we felt and consider our situation carefully. We can still the frustrated fervor that has infected our politics from top to bottom and approach our problems with reason and compassion. It will take effort, certainly, but we cannot sustain this level of anger and fear forever. The sooner we do this, the better – and the less of an impact this hasty mistake will have on ourselves, our country, our world, and all those future generations that will follow us and judge our actions. America has long cherished the spirit of individualism, but these days we could stand to maybe loosen up a bit in regards to it. America has always had an obsession with the idea of “Individualism” but this is increasingly becoming a dangerous and unhealthy obsession, especially since lately we seem to be holding ever tighter to the idea, almost to the point of fetishizing it, instead of letting it go (or at least relaxing our grip a bit). The dictionary defines “individualism” as “the habit or principle of being independent and self-reliant,” and “a social theory favoring freedom of action for individuals over collective or state control,” which sounds great on the face of things – though in today’s interconnected world I question how truly independent or self-reliant an individual can really be. We’ve always valued individualism, ever since our earliest colonial days. The United States is a big country, and back in the days when the fastest mode of travel was by horse, it seemed even bigger. As a result, when you were building your home in this big New World, you had to learn to depend on yourself and only on yourself – because there was no one else around! And in these early days, individualism was a good thing, a positive trait, something that you almost needed to survive here. 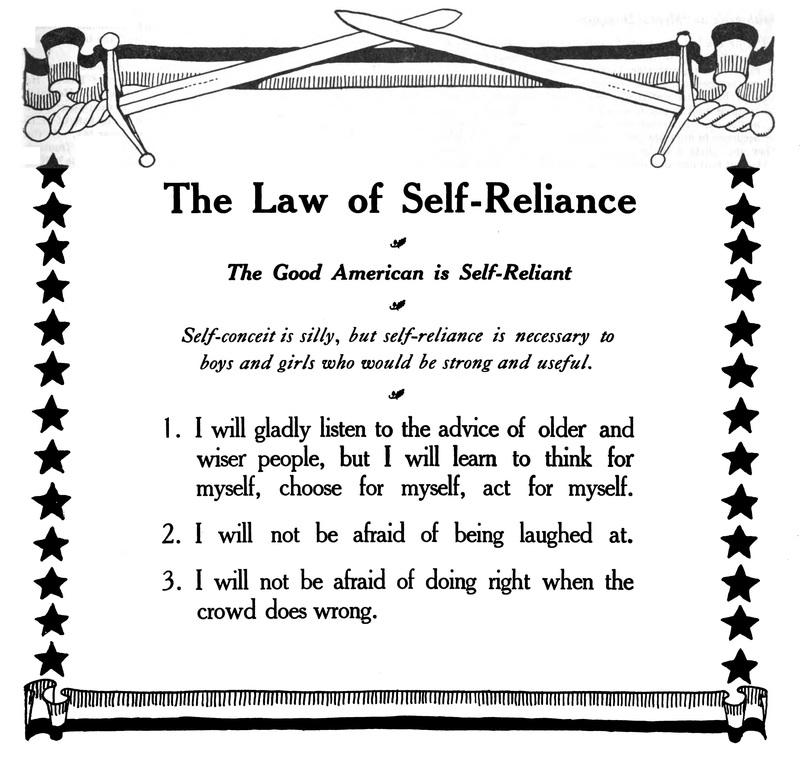 We’ve taken the idea of self-reliance way, way, way beyond this. Even as cities and railroads and even cars came along, this spirit of individualism remained – again, partly because the US is just such a big country that even with motorized travel there were still huge sections of the country where you would be more or less all on your own. So this idea of being independent, of being reliant only on yourself, became ingrained as part of our culture. However, as the country grew – as towns became cities and urbanization took hold, and as transportation and communication tied us all together into a connected whole rather than isolated pockets – the need to be individual and the benefits of individualism have become less important, or even counterproductive. Truthfully, in the 21st century, the idea of being completely free and totally self-reliant is basically dead. Oh sure there are still wide open places where you’d better be able to take care of yourself, but we are an interconnected society now, and we all rely on one another to some degree. Individualism will only get you so far. We’re all in this together (for better or for worse) and believing otherwise is just deluding yourself. We’ve romanticized the idea of individualism too much – we’ve placed this ideal on such a high pedestal that it is quite literally impossible to reach. Furthermore, this idealized individualism has a dark side. The higher we hold the standard of self-reliance, the lower we hold those who aren’t. If being self-reliant is great, then having to rely on others must not be great – it must be bad, or even shameful. If being free and able to do whatever you want is the ideal, then being subject to group rule – no matter how much or how little – must always be undesirable. It’s fine to want to be able to take care of yourself (indeed, I think this is still a worthy goal to have), but it’s not OK to look down on those who can’t take care of themselves. It’s great to strive to be independent of others (as much as is realistic these days), but it’s foolish to base every decision, without question, on whatever lets you depend on others the least amount. There’s another flip side to all this as well – the idea of individual responsibility. As an example, if you’re self-reliant and you built your own home completely yourself, from scratch, that’s great – but when a tornado comes along and knocks your house flat, individualism says that you and you alone are responsible for rebuilding it. It is important to realize the limits of self-reliance and what individualism can mean, and not delude ourselves into thinking it’s more (or less) than it is. After all, I don’t think anyone is arguing for true total freedom of action and self-determination – otherwise we’d all be free to run around and murder one another – so really the discussion is about where on the spectrum of “some freedom of action” and “some self-reliance” we should be. The problem comes when that over-emphasis of the value of individualism causes us to consider decisions solely in light of whether they decrease self-reliance or individual rights, and not whether they actually make sense or benefit the most people. Like it or lump it, we are a collective society. Individual rights are important and good, yes, but the idea that they are paramount and should always trump any other concerns is simply not workable in a world with as many people in it as there are today. In order for society to function we must, of a necessity, give up some individual rights (how much we give up is of course open to continuous debate – and, again, a topic for another post.) Given this, continuing to idealize and romanticize individualism (and denigrate non-individualism) is fundamentally counter-productive. As a nation, we Americans need to come to grips with the fact that we’re not living on the frontier anymore, that there are some 318 million of us and that we are all deeply interdependent on one another (whether we realize it or not) and, most importantly, that this is not at all a bad thing. It’s fine to try and make it on your own, sure, but don’t take this as the only measure of success – and especially don’t think that failing to do so makes you less of a person. Individualism was great when our country was just getting started, but our country is grown up now and we need to be as well – we need to let go of this idealized fantasy of individualism and total self-reliance and come to grips with the fact that things aren’t like they used to be, and this is not a bad thing. No man is an island, as the saying goes, but together we form the better part of a continent, and I think that’s something we can all be just as proud of. Free flow of information is the only safeguard against tyranny. 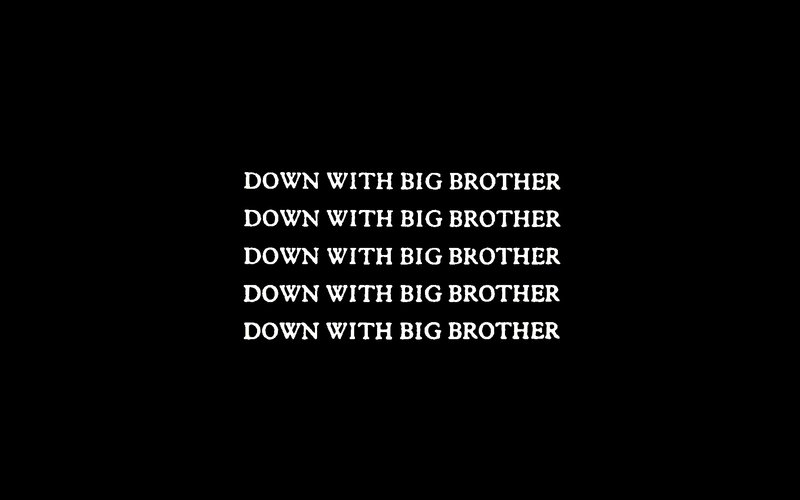 … [A] free nation gradually constricting its grip on public discourse has begun its rapid slide into despotism. Although this quote is from a video game (Alpha Centauri, actually), it doesn’t make it any less true – or less relevant, especially today. Censorship – and especially censorship of news and events – is bad, bad, bad. How else will we know when our rights are being infringed or our freedoms being repressed if we can’t hear about it and talk about it? Remember: it is in the interest of the oppressor to suppress information about his oppression. 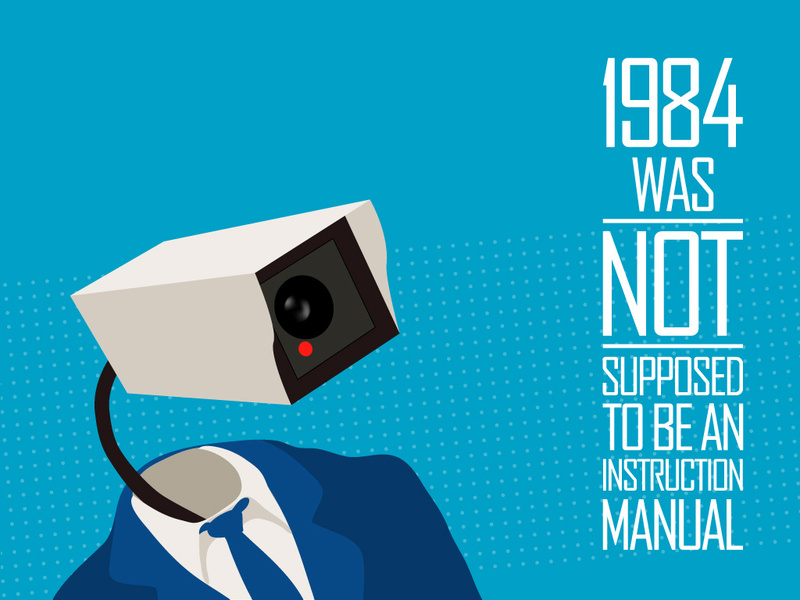 Recent news has revealed what many already suspected - we have become a de-facto surveillance state. The problem is: we are not at all ready to be a surveillance state. Recent news has revealed what many already suspected – that we are (or are about to become), a de-facto surveillance state. The problem is: we are not at all ready to be a surveillance state. The kind of surveillance that was previously only in the realm of dystopian fiction has been revealed to not only be possible, but to be taking place right under our very noses, without our knowledge, our consent, or what we would consider proper oversight. The thing is, we’ve been headed in this direction for a long time – companies have effectively been doing this for years now. What’s changed is the scope of the surveillance, and the government’s involvement in (and use of) that surveillance. This sort of surveillance is a by-product of the digital age we live in, and is not, by itself, a bad thing. What is bad is that government is getting deeply involved, and it is doing so very quickly, and without a chance for public debate (or even without the public’s knowledge!). 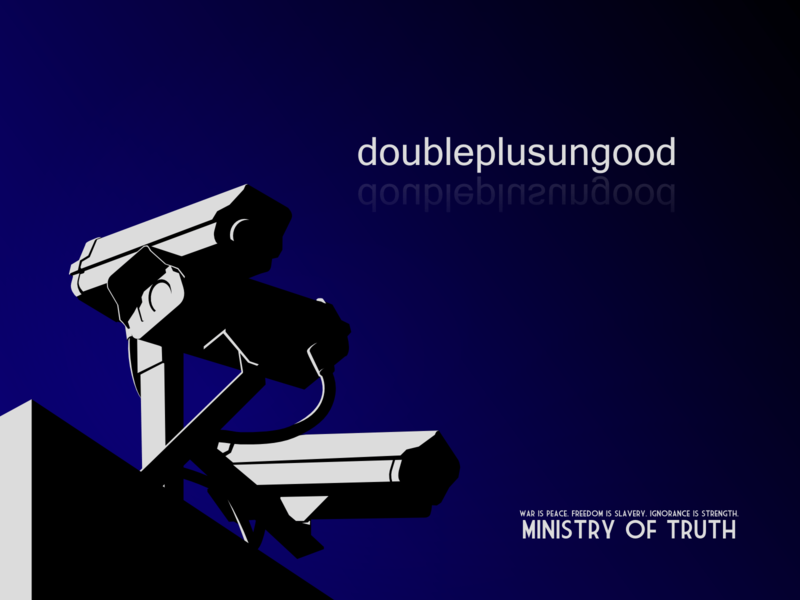 In light of the seeming inevitability of increased surveillance and data collection, and to prevent the absolutely certain slide into despotism and a de-facto police state, you need deep, fundamental protections against misuse of data – and such protections need to be built in, from the start – they are not the sort of thing that can be added on afterwards. Technology is progressing so rapidly that our laws simply cannot keep up – even the ways we create laws is still largely stuck in the last century, so that even if we try to adapt to new technology, by the time we’re done, it’s too late. Even more worrying is that even though our laws can’t keep up with technology, that’s not stopping our governments from taking advantage of that technology – and that creates a huge problem. In a way this is like having a really old machine that we’re trying desperately to keep running, even though the manufacturer has long since gone out of business, and the purpose for which the machine was originally built no longer exists. Instead, we keep replacing parts as they break or wear out – which takes longer and longer, since we have to rebuild them from scratch (since no one makes them anymore). We keep trying to get the machine to do things it was never intended to do – bolting on additions and making adjustments, all without really knowing how it will affect the overall functioning of the machine, or even if it’ll work the way we want it to. Programmers in the audience will recognize this pathological pattern of behavior – any large software system will often find itself in this very same situation. And when faced with this kind of situation, often the response will be to just throw it all out and start over again from scratch. In law, as in software, the argument against doing this is usually “why throw it away, since it still works” or “why fix what isn’t broken?” But I think it’s clear, especially in the face of new technology and what we’ve learned recently is being done with that technology, that things are in fact NOT working, and that the system IS broken. We either need to start over, or more practically, immediately begin reforming the ways we deal with technology – from the ground up. The pace at which we adapt needs to keep up with the pace at which technology changes – the way we debate laws, the way we vote, the protections & systems needed to prevent abuse – all of these things need to be updated, and they need to be updated in a hurry. Until our laws are fundamentally overhauled to provide the same kind of deeply embedded protections in this digital age that we previously enjoyed before computers existed, we simply are not ready to be a surveillance state. That such a surveillance state is being created, before we are ready for it, is deeply disturbing and either needs to be stopped right now, or a concerted effort to reform our laws needs to happen, yesterday.